On December 3rd, Epson announced a breakthrough in the compact photo printer market with the introduction of PictureMate® Show -- an ultimate, portable two-in-one digital photo frame and 4” x 6” photo printer. This versatile hybrid offers consumers a convenient solution for displaying, sharing and printing better-than-lab-quality photos in the convenience of their homes all year round. PictureMate Show offers an incredible display for photos with its seven-inch, 16:9 tilt digital photo display with 800 x 480 dpi WVGA resolution, and has 12 entertaining slideshow formats that the whole family can enjoy! Combined with the best quality 4” x 6” photo printer, it also offers the highest maximum print resolution in its class (5760 x 1440 dpi) to produce beautiful photos with incredible detail and longevity in as fast as 37 seconds. 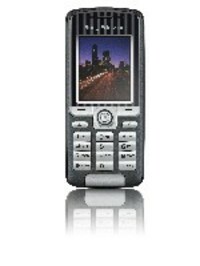 Sony Ericsson today announces K320i, its latest 'snapshot' camera phone & one that is equally well suited to either the working week or the weekend. Compact and stylish looking, K320i is packed with impressive features. As a business tool it includes Bluetooth(TM) with Automatic Bluetooth(TM) pairing, PC synchronisation and support for push email. When the working day is over, K320i also offers a camera with 4x digital zoom and a fully-specified media player for music & video playback. Sleek styling and a choice of subtle colours makes K320i the multi-talented phone you'll always want with you. "K320i is the kind of well-balanced phone that appeals to both the cost-conscious employer and the demanding user, says Steve Walker, Vice President Product Marketing, Sony Ericsson. A well equipped business tool that gives you complete office mobility, without compromising on the consumer features and strong design that will ensure employee acceptance." 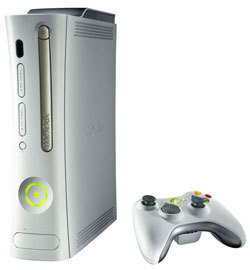 from CoolIT Systems Inc.: The Microsoft Xbox 360 has been the topic of much discussion since its release on Nov. 22, 2005. Aside from its limited supply through Christmas and fantastic gaming abilities, many headlines have been about problems related to the excessive thermal output of Microsoft's latest gaming console product.